Although executive function difficulties are often addressed in school-age children, there are few resources showing professionals how to help these individuals when they are older. 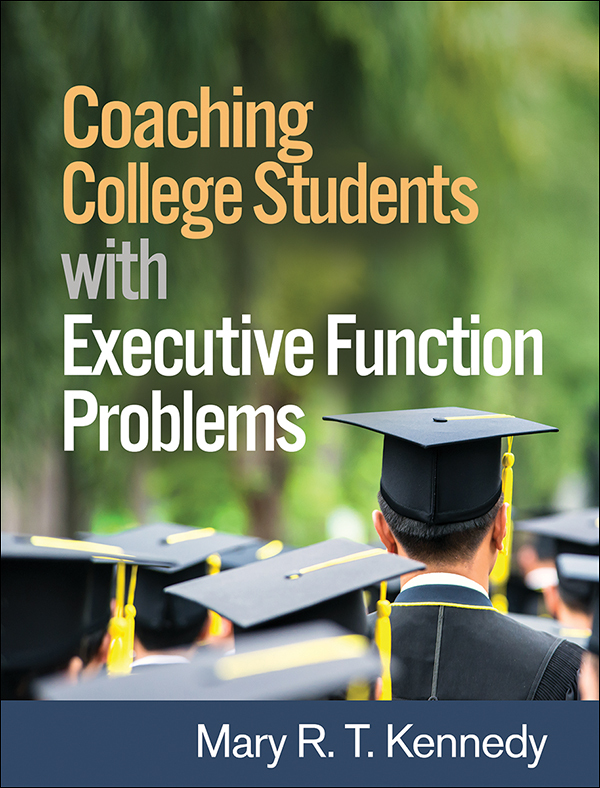 This book presents a dynamic coaching model that helps college students become self-regulated learners by improving their goal-setting, planning, time management, and organizational skills. Ideal for use with students with attention-deficit/hyperactivity disorder (ADHD), learning disabilities, acquired brain injury, and other challenges, Mary R. T. Kennedy's approach incorporates motivational interviewing and emphasizes practical problem solving. User-friendly features include numerous concrete examples, sample dialogues, and print and online resource listings. In a large-size format for easy photocopying, the book contains 21 reproducible forms. Purchasers get access to a Web page where they can download and print the reproducible materials for repeated use.